DETROIT, MI -- If you look at the golf landscape in southeast Michigan just a decade ago, the public golfing scene would seem pretty desolate. Before the incredible golf boom that put Michigan on the golfing map - and No. 1 in the nation in building new courses for five years running - serious players in the metro Detroit area either belonged to a private club or drove up north four hours to find some good golf. My how things have changed. Now it seems good golf is just waiting around the corner, whether you live in Ann Arbor or Mount Clemens. Metro Detroit, which is defined by five counties - Wayne, Macomb, Washtenaw, Livingston and Oakland - hasn't developed into a golfing destination, and probably never will, given the competition in the state among its 800 public courses. But visitors and business travelers can now enjoy some top notch playing conditions during their stay, especially at the courses we consider the 10-best public tracks in the area. With the hub of the auto industry calling metro Detroit home, prestigious country clubs emerged years ago - Oakland Hills Country Club, Franklin Hills Country Club and the Country Club of Detroit come to mind - and are still some of the best collection of private courses in one locale in the country. "The country club scene is still strong in Detroit," Jerry McAuliffe, a past president of the Detroit Club Managers Association and the general manager of Birmingham Country Club, said last year. The influx of the new upscale public courses in the last decade probably won't ever give private clubs a run for their money, but many top public courses, like the Orchards Golf Club in Washington Township, compare themselves with country clubs. The Orchards motto is "Your Club for a Day" and it delivers with immaculate playing conditions and good service. Another course, Cherry Creek Golf Club in Shelby Township, might have better facilities than many private clubs. Cherry Creek's huge clubhouse serves a mean Sunday brunch at the Ryder Cup Grille and can entertain up to 400 people at weddings in its banquet halls. Outside, the large practice facility and the clocks on the tees, which help speed up play, are part of the club's dedication to service. What's most interesting is all of the courses that make our top 10 were all built within the last 10 years. That's when "modern course design," a.k.a. wide fairways, fancy bunkers and huge undulating greens, all became necessities to attract players, not to mention full-service clubhouses with restaurants and learning centers complete with driving ranges and teaching pros to give lessons. To accommodate all these demands, players' wallets will take a hit. You'll be lucky to find a course that doesn't charge at least $50 for a round, and that includes twilight and weekday rates. Some courses, like Shepherd's Hollow Golf Club, Twin Lakes and The Majestic charge upwards of $70 or more. But it's all for a grand experience. Now, we realize not everybody will agree with our rankings. What is a great course to some, might be considered "too hard" or "too" this or that for others. What we can agree upon is all of these courses are fun layouts. If you're in town on business or a resident year-round, playing at one of these places will be a memorable experience. 1. Shepherd's Hollow Golf Club (Clarkston) -- After gaining acclaim with his design at Bay Harbor up north, Toledo-based Arthur Hills hit the jackpot again in creating this gem, which rolls through 350 acres on land leased from a Society of Jesus, an order of Roman Catholic Jesuit priests. It ranked No. 6 nationally in January 2002 on Golf Digest's list of "Best New Upscale Courses." 2. The Orchards Golf Club (Washington Township) -- With 93 bunkers, plenty of trees and wetlands, this Robert Trent Jones Jr. design challenged the nation's best amateurs at the U.S. Public Links in July. Opened in 1992, it is the oldest course on this list and should be considered one of the founders of the golf course boom in southeast Michigan. If you are in the neighborhood for a couple of days, check out the Glacier Club (Washington Township) and Greystone Golf Club (Romeo) for one good weekend of golf. 3. The Majestic at Lake Walden (Hartland) -- This 27-hole facility, designed by Jerry Matthews, is best known for its ferry boat ride across the 150-acre lake to hole No. 10 and its secluded, northern-Michigan type atmosphere. Many locals are thankful the course and clubhouse only suffered minimal damage when a tornado ripped through the property last year. They will notice, however, that one "majestic" tree on No. 10 was lost in the storm. 4. Northville Hills Golf Club (Northville) - The 926-acre site was formerly a county child development center until it closed. Then the county sold the property to multiple developers and businesses, making the way for a great golf course and pricey neighborhood. Besides the more than 650 homes, priced between $400,000 and $1.5 million, the complex will offer senior apartments, a business park, a retail center and parks. This Arnold Palmer championship layout has a natural appeal with its expansive, untouched wetlands, nature areas and its golden brown, knee-high heather grass. Water comes significantly into play on 14 holes. 5. Moose Ridge Golf Club (South Lyon) - Up-and-coming architect Ray Hearn once again sculpted a great piece of land into a good golf course. Moose Ridge rides up and down a prime piece of property in fast-growing Livingston County. It opened in 2000 and continues to gain momentum as an area favorite. In the area, Tanglewood (South Lyon) and Lyon Oaks (Wixom) are worth a look, too. 6. Boulder Pointe Golf Club (White Lake) -- The land at this Waterstone Development was made for golf with 80-foot elevation changes and 15 lakes scattered throughout its 1,600 acres. Twenty-seven scenic holes, with nines named The Peaks, The Dunes and The Bluffs, and global positions systems in the carts make Boulder Pointe a first-class stop. If you are coming from the airport or downtown Detroit, beware. This facility is well off the beaten path, but two other solid public designs, Copper Hills and Devil's Ridge, are close enough to visit in nearby Oxford. 7. 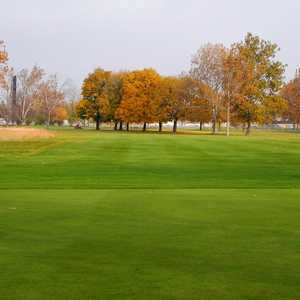 Twin Lakes Golf & Swim Club (Oakland Township) -- Mediocre golfers will love the wide fairways that feature few trees, but beware. The real test on this Ray Hearn design, which opened in 1997, are the greens that average a whopping 12,000 square feet in size. 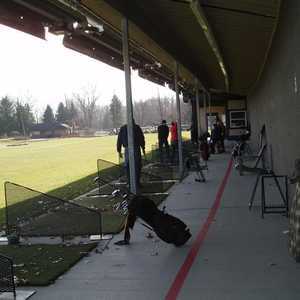 Unfortunately, it is ultra-expensive to play golf in the Rochester Hills area. 8. 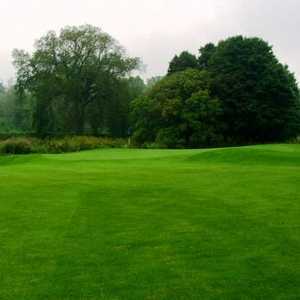 Blackheath Golf Club (Rochester Hills) - Although a little short by modern standards - 6,768 yards from the tips and 6,127 yards from the blues, Blackheath beats players in other ways - long fescue grasses lining every fairway and green. Kevin Aldridge designed the Scottish links-type course after creating the award-winning Gailes course in Oscoda. Blackheath, which was recently taken over by new management, also happens to own Devil's Ridge and is literally just down the road from Twin Lakes. 9. Cherry Creek Golf Club (Shelby Township) -- As good as the golf course is, this Lanny Wadkins/Mike Bylen layout, which opened in 1995, might have even better amenities. When TravelGolf.com last visited in 2000, head pro Brion Hoke told us: "A lot of people think we are private. That's just a misconception." 10. Fieldstone Golf Club (Auburn Hills) -- It's not often that a municipal course earns high praise, but Fieldstone, yet another Hills design, does. After the city of Auburn Hills plowed under the old 27-hole tract, the Arrowhead Golf Club, a better 18-hole course emerged on the 200 acres. It boasts everything to challenge any player from small, elevated greens to carries over wetlands off the tee. Its layout is quirky at times, but overall a serious challenge. So tough, in fact, it has hosted several Buick Open qualifiers. Still operating out of trailer, Fieldstone will be much improved once a full-service clubhouse arrives and the course matures. Honorable mentions include The Golden Fox at Fox Hills (Plymouth), Lyon Oaks (Wixom), Pine Trace (Rochester Hills), Copper Hills (Oxford), Greystone Golf Club (Romeo) and Dunham Hills (Hartland). 27 holes. Par 36 each.